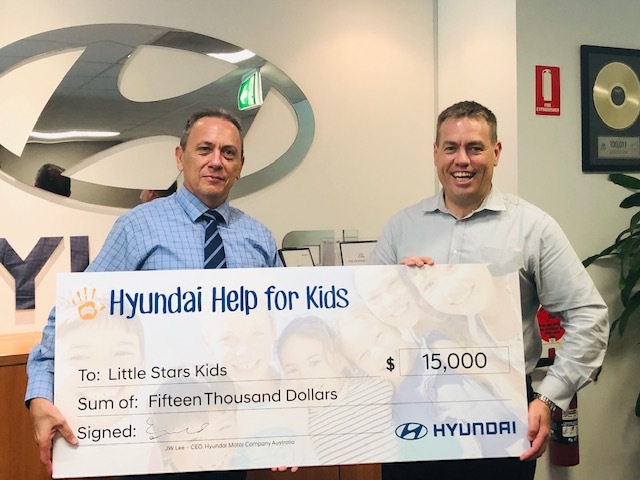 A huge thank you to our corporate sponsor, Hyundai Help for Kids for once again making a generous donation of $15,000 towards our Little Stars Kids Camp Program. This donation will go a long way to enabling us to help the recovery of children who have experienced abuse and neglect. Pictured, Martin Him, Regional Manager- Hyundai with Tristan Van Riel, Director of Little Stars Kids. © 2019 Little Stars Kids.